We don't have a Steam Controller to put in your hands, but we do have this to share, via Sketchfab user Mestaty. Take it for a whirl. 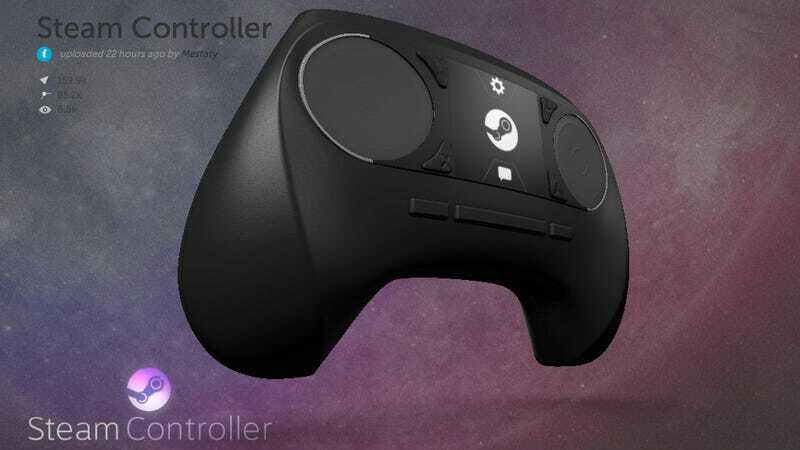 Steam Controller from Mestaty on Sketchfab.